On the ground floor and accessible without walking, this accommodation will be ideal for your stay in the mountains summer and winter. Skiers, hikers, spa, travelers, everyone will find happiness in this small resort in the Pyrenees which offers multiple activities. 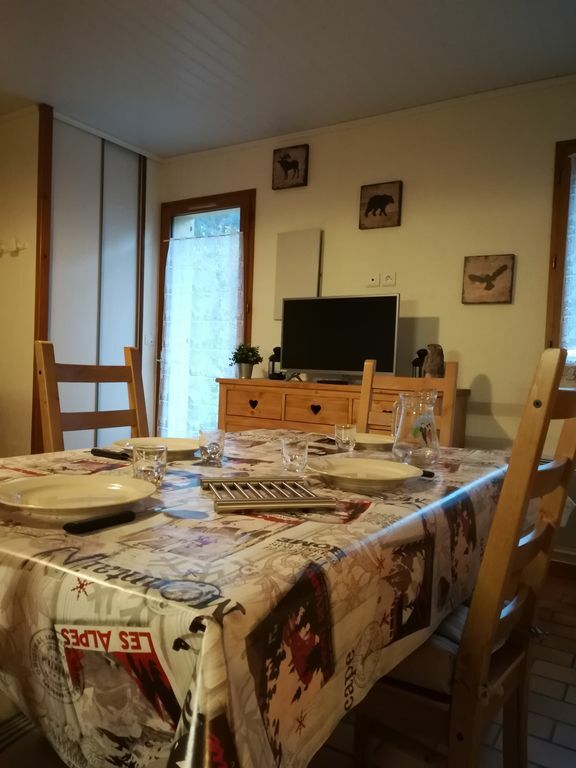 The apartment is located at the entrance of Cauteret 800m walk (15 min) gondola and 500m from a crossroads mountain (10 min), in a quiet environment. A green path (path) at the foot of the residence allows you to walk and reach the city center and the supermarket. During the school holidays you will find a free shuttle at the foot of the residence. Possibility to park: free parking space for the residence. Chalet 30m2 ground floor in the DRC. Unobstructed view of the mountains not overlooked facing south / southwest (see photos). - 1 living room dining room: sofa bed, TV, storage, ironing board and iron. - 1 kitchenette: microwave, oven, fridge, washing machine, hotplates, crockery, raclette, fondue set. - 1 bathroom: bath, washbasin, WC, hair dryer, storage. Provide duvet cover and sheets. Possibility to rent towels and sheets on site. Rates are inclusive of all charges: electricity, water, heating, tourist tax. There is no cleaning fee, you will need to clean the accommodation when you leave. Cleaning products are not provided. Do not hesitate to contact me, it will be with great pleasure that I answer your questions! logement pour deux personnes parfait .Avantage on peut recevoir de 2 à 4 personnes pour diner par exemple. Point de vue montagne super des le matin ..